Sophomore Will Thannert talking to his coach after his race. When people stare at you, it is usually for something you are not aware of, whether it is a lone booger or a piece of food stuck in your teeth, it is always embarrassing. However, at the end of the swimming season, swimmers intentionally garner stares after stares, and somehow everyone on the swim team comes to school on Monday with completely bleached hair. This has been a tradition for generations, not only at West but for high school swimmers all over the country. This past Saturday, the whole swim team, Freshman, JV, and Varsity partook in the annual “bleaching.” It always happens after a Saturday morning practice, a week or two before Conference. The idea behind it is since most swimmers will aim to shave every single strand of hair on their body for less drag in the water for their biggest race of the season, why not have some fun with it. “I like it because it’s a cool thing to try being blonde because of the way people look at you and it makes you feel united with your teammates since a lot of people think it is so weird,” said sophomore David Moldovan. Everyone seems to do it because it’s a joke, but somehow, spending a day bleaching your hair to look dumb for two weeks with your teammates bring you all together and just makes the team’s bond even closer. “I think it’s a really cool tradition because it is a good bonding experience. We all bleach our hair and shave together which allows us to grow as a team since you need to trust the people around you to bleach your hair and to shave their heads. No other sports bleach and shave their heads and it shows,” said class of 2018 graduate, George Spiratos. If looking like an idiot for two weeks wasn’t enough, spending a whole day with your friends and teammates on the pool deck, getting your hair bleached by the upperclassmen while you eat a monstrosity of food and listen to music just brings your whole team even closer. “I get to look like an idiot with my boys. That’s why I do it. We’re all in the same boat. The tradition of bleaching, well I don’t know where it came from, but I only partook in it because the other guys were and I’d want to do it with them, not alone,” said sophomore Evan Trejo. 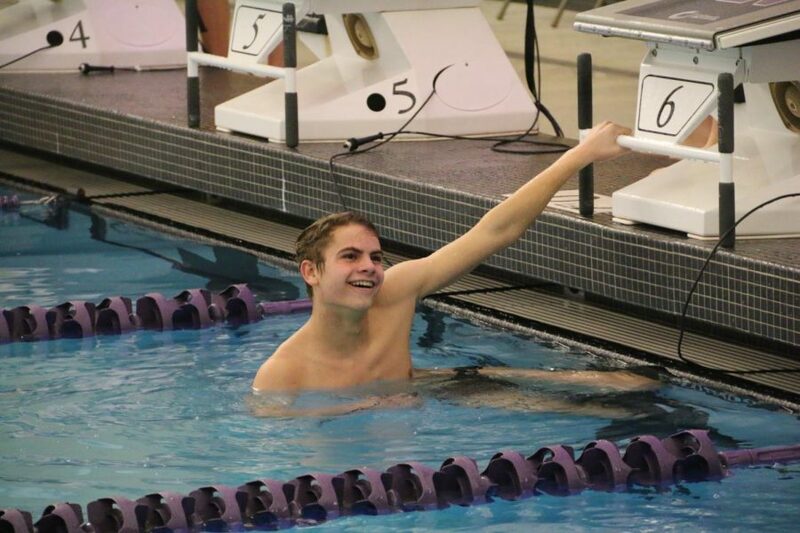 The swim team may be one of the closest teams not only because of bleaching, but because of the countless pasta parties days before meets and the lunches after meets, or the unity in dying at practice. So, the tradition may have sprouted just for laughs, but turns out, getting laughed at by the whole school really does make the team much closer.